There are 10,000+ watch apps available on the App Store today, unabashedly pushing and shoving each other for user attention. Understandably, as an Apple Watch User, it’s doesn’t come easy? Nailing down that perfect app with perfect features and functionalities, that is. But you know what? There are many apps out there that have already made the cut and have successfully struck the right chord with the users. Wish to know about them? Whoot: Here go those 10 Best Apple Watch Apps that have already found a fan base among the watch users. Tired of penning down your appointments in your appointment diary, day after day after day? Switch over to Fantastical 2 now. The app indeed turns out to be a fantastic appointment keeper for you. Figure the relevant command and you just have to talk to it. Fantastical 2 will automatically record all your appointments in the form of dictations and replay it for you in the relevant time. Plus, you can even use it to call, email, send messages to invitees and more. Are you a news addict? Then it goes without saying that New York Times app should definitely find a place for itself on your Apple Watch. The best part of this app is that it offers news both in short and long form. So, if you are in a hurry, you can just rush through the headlines, and if possible, a few bulleted points. On the other hand, if you have all the time in the world, you could simply bookmark the news, or use Handoff to peruse the full article on your iPhone. Do you hop on to taxis often? Then no other app but Uber should be on your must-to-be downloaded list. With a tap of a button you could hit the roads, either on a UberX, or a UberBlack, or some other default car you have on your iPhone. Aside from the speed part, the app is known for its simple and practical user interface, making it one of the best apps available on the Apple Watch. However, for the time being features such as uberPOOL, Split Fare, Contact Driver are still not available on the Apple Watch. Plus, if you need some changes in the settings, again you will have to go to the iPhone app. Wish to have a minute-by-minute account of what’s going in the office? Download the Slack app straightaway. Popular as a team communication tool, the watch app developers have really put their best foot forward by displaying only the direct messages and mentions, not the entire team story (read updates), on the app. The best bit being that you can respond to the messages easily, thanks to the pre-defined answers that are available in the form of text, emojis and Siri dictation. Additionally, you can even keep track of unread messages and the number of people that are online. Being a news addict is just one thing. Being a coffee addict is another. So, if you suffer from coffee hangovers often, then Starbucks should be the app of choice. Partly because it makes ordering easy. Partly it makes payment a piece-of-cake. Yes, you just need to wave your wrist in front of the terminal and you have made the payment for your latte, literally. Isn’t that magical? Plus, you can also view rewards on your account. If the Twitter app on your smartphone is not living up to its full potential, given that it just offers only five feeds at a time, its Apple Watch extension is way, way different. It’s not only designed to offer 25 feeds, but you could even tweet via dictations. Once you have dictated your tweet, go over to your iPhone or iPad’s lock screen and find Twitterific’s icon. Once your Twitterific’s icon is launched on your iPhone or iPad, it directly opens the compose screen where you will find the latest tweet ready to be edited and posted. What’s more you could even enable notifications for replies, add new followers, direct messages among many other things. 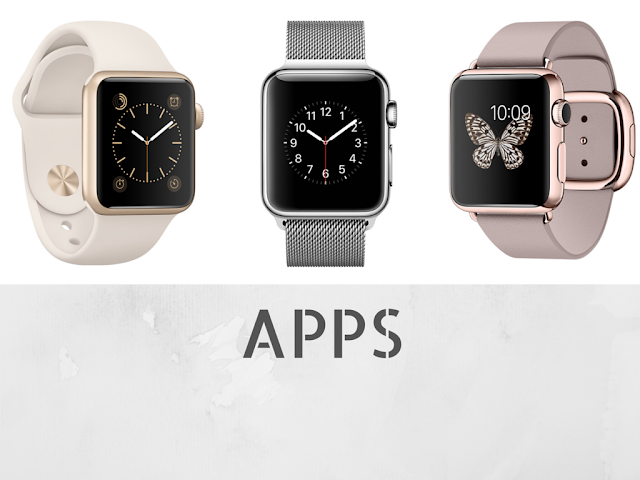 If you are a constant online shopper, then Deliveries, without a doubt, should make into your Apple watch. Why? Because, it gives you all the latest updates on the goods that you have ordered online. And, this includes location maps, which gives you an exact idea on where your stuff is lying right now, to notifications, which says delivery is on the way. Looking for go-to places during weekends simply to relax and rejuventate? Tripadvisor is the app for such times. The app displays info about “eat, play and stay” places that are in your close proximity in next to no time. It’s got images, maps, addresses, reviews, and more that could be perused whenever you find the time and space to do the same. Hit the road with Runtastic! Yes, the app is especially meant for fitness freaks, specifically runners, who wish to keep a tab on the speed, pace, and distance covered, which in turn gives them the much required adrenalin rush in terms of calories burned. The app even allows you to keep a track on your activity history. However, don’t forget to tag your iPhone along as Apple Watch depends on your iPhone GPS to track your activity. Tune InRadio Pro has over 10,000 stations. Yep, that’s a pretty good number at your disposal. So, go ahead and choose the station of your choice and play on. Don’t like it? Fast forward, rewind or just move on. There’s so much to pick and choose from. With Tuneln Radio Pro in your watch, you’d always be entertained all through the day and night. But then, don’t forget to charge up your watch batteries first thing in the morning. Inevitably this is just tip of the iceberg. There are several other apps out there that are doing extremely good in terms of performance, thanks to watch OS 2 update, which allows the apps to run natively on the device itself. Probably, I could cover them in the next post for you.